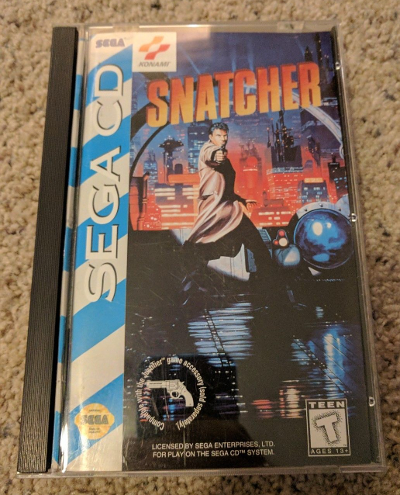 A Retro Treasures favourite, Hideo Kojima's cyberpunk adventure Snatcher for the Sega CD has once again appeared on eBay. The particular game on offer seems to be in excellent condition, and comes complete in its finely preserved case with the manual, and even the foam insert. Seller ships to most places worldwide.